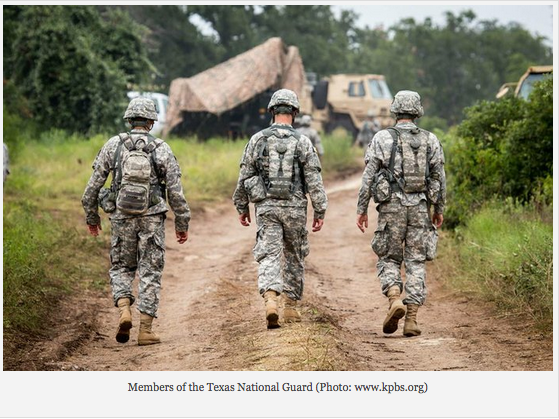 PSYOP Regimental Blog: PSYOP on the Border? A recent article about NG deployments in support of security our border with Mexico caught my eye. (See: http://www.stripes.com/news/us/unprecedented-deployment-has-guardsmen-feeling-strain-of-border-mission-1.329060). 3. Provide a significant training opportunity. As I understand the current legal environment MISO (PSYOP) cannot be conducted against US citizens. While the spirit of the law may mean (and one would have to do some research on legislative intent, etc) that such operations shouldn’t be conducted on US soil, the text does not say that. Given the above, I believe MISO initiated on US soil against foreign targets is legal. Would this activity support national objectives? If deterring illegal entry is a national objective and the MISO were effective, it would be logical to conclude that these kinds of operation would support national objectives. As for training, there are rich opportunities. The environment would facilitate field craft skills, foreign language skills, Spanish in particular would be exercised, and there are a variety of media that could be employed. These can include mobile phones, loud speakers, and leaflets (wind permitting of course). Selected PsyActs such as helicopter flights on the US side of the border might be useful as well. Perhaps even social media. Social media likely being on thin ice so to speak. I am not aware of these kinds of operations being conducted, so reader input on the history and potential would be appreciated. 77th Bde – Rebranding of the 15th PSYOPS Group? Ghost Army: The PSYOP Movie!